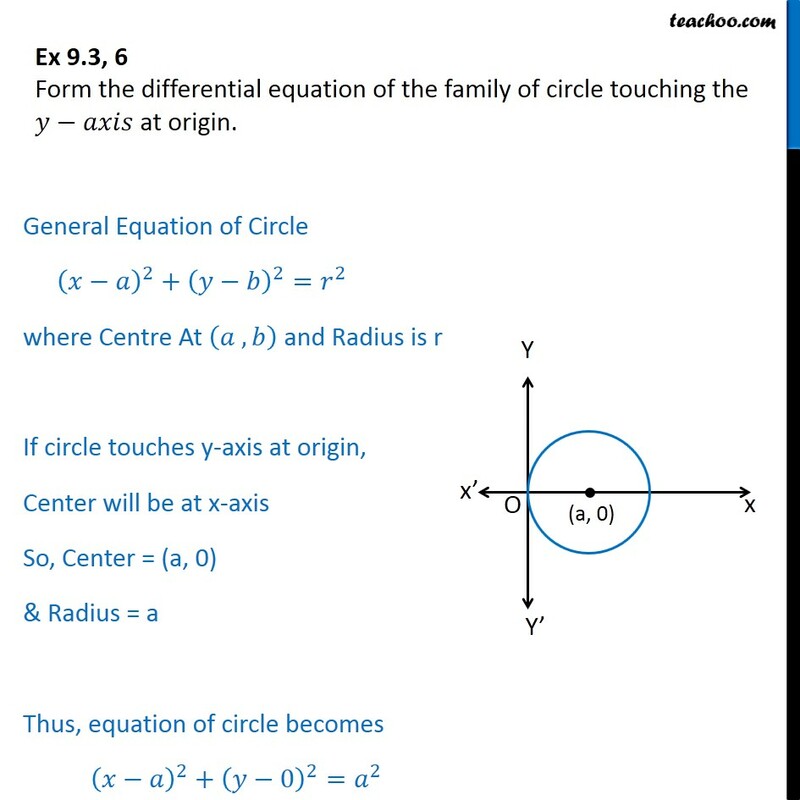 Ex 9.3, 6 Form the differential equation of the family of circle touching the at origin. General Equation of Circle 2 + 2 = 2 where Centre At , and Radius is r If circle touches y-axis at origin, Center will be at x-axis So, Center = (a, 0) & Radius = a Thus, equation of circle becomes 2 + 0 2 = 2 2 + 2 = 2 2 + 2 2 + 2 = 2 2 2 + 2 = 2 2 2 2 + 2 =0 2 = 2 + 2 2 = 2 + 2 2 = 2 + 2 2 = + 2 Differentiating Both Sides w.r.t. 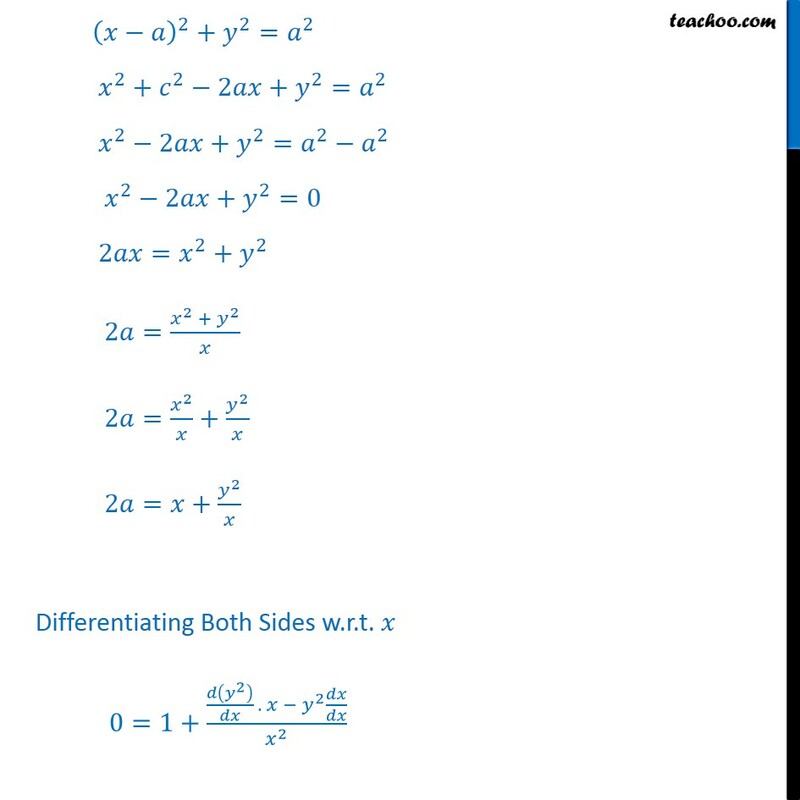 0=1+ 2 . 2 2 0=1+ 2 . . 2 2 1= 2 2 2 1. 2 =2 2 2 =2 2 2 . 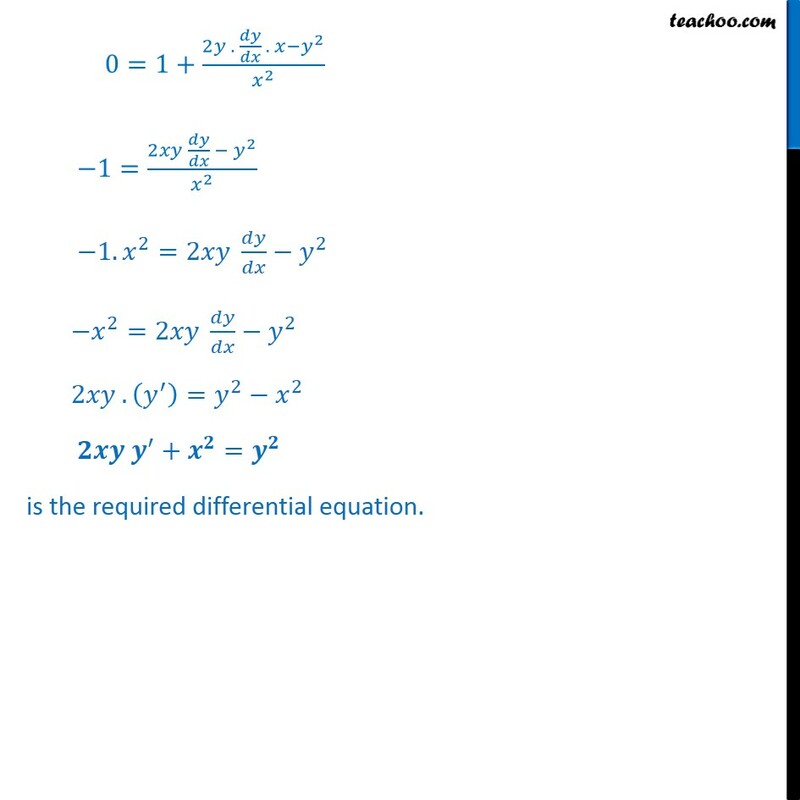 = 2 2 + = is the required differential equation.